When a family comes to Volunteers of America seeking help, they have often faced many challenges that led them to their personal rock bottom. For Knoxville, TN residents Ann O'Dell and Wendell Griffin (pictured from left to right above), this was certainly the case. Last winter, Ann and Wendell had been living with and caring for Ann's father after he fell ill, and later passed away at age 81. During this time, they were unable to manage all of their expenses on their tight budget, even with Ann's social security funds and Wendell's veteran disability income. After Ann's father passed away, things began to further spiral out of control and they lost their apartment. Ann and Wendell would stay with relatives and in hotels, but they were without an affordable place to call home for months. They spent their days at parks or in their van as they grew tired of burdening their families and could no longer afford to stay in hotels. Wendell, a 14-year Army veteran, retired as a staff sergeant in 1992. He is a prostate cancer survivor and has suffered from severe depression after his diagnosis and treatment. After battling these difficult challenges together as a family, facing homelessness was another issue that Wendell and Ann were determined to overcome. Ann and Wendell realized they were not going to be approved for an affordable apartment due to lack of credit history. They knew they had to seek help. They tried to contact another agency in the Knoxville area, but only Wendell was qualified to receive assistance, and staying together was a priority for them during this challenging time.They weren't sure where else to turn, until a family friend directed them to Volunteers of America, noting that our Supportive Services for Veterans Families program helps veterans, like Wendell, and their families. "I couldn't believe there was somebody out there who offered assistance to help someone else out like this," Ann said, noting that their case worker went above and beyond to make sure they had everything they needed to get settled in their new apartment. With our assistance, Ann and Wendell were able to move into an affordable, safe apartment and also received assistance with their first month's rent, utilities and furniture to get them off to a fresh start in their new home. "We can finally breathe again," Wendell said. "Volunteers of America helps. They are sincere. There is hope out there. I'll shout that from the mountaintop – Volunteers of America will help you." 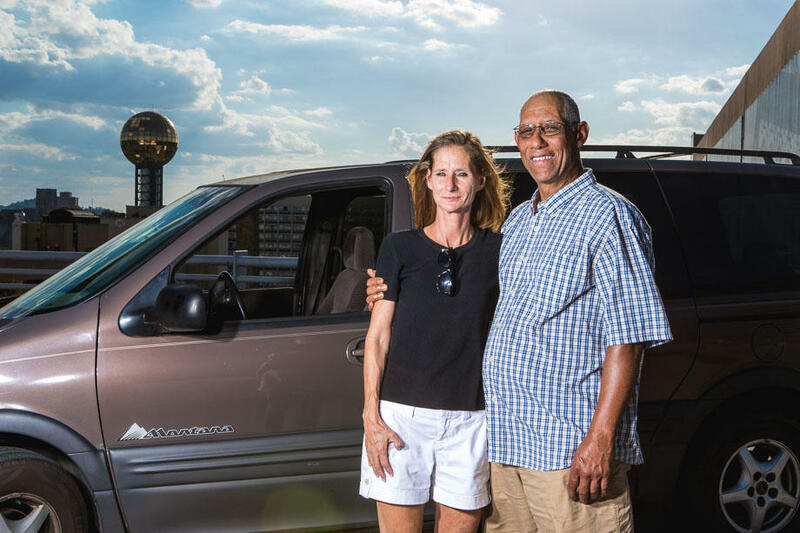 Now that they are living in a stable home and life feels manageable again, Ann and Wendell are focused on reconnecting with family, getting involved in their local church and are saving up to purchase a new van for the family so they can travel the country and visit Maryland, Wendell's home state. Everyone deserves to live a safe and stable life, including our nation's veterans. We are honored to serve those who have served our country and to help them create positive change in their lives and their family's lives too.